← Did You Get a Letter From The IRS? Are You Claiming All of Your Tax-Deductible Business Expenses for 2015? Haven’t completed your 2015 taxes yet? You’re cutting it close. Don’t short-change yourself on business expenses, though. If you’ve been in business for several years, you have a pretty good idea of what expenses can be claimed on your income taxes. But even if you think you know or you’re filing a business return for the first time, you may be missing out on some legitimate deductions. The IRS says that business expenses must be both ordinary (commonly used in your business) and necessary (“helpful and appropriate”). Some of the allowable business expenses are obvious, like office rent, advertising, and travel. But there are others that you may not know about. And even the obvious ones come with rules and exceptions. Figure 1: If you use accounting software, you may have seen a listing similar to this in your Chart of Accounts. 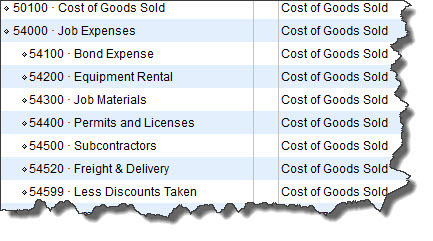 Cost of Goods Sold. Whether you make products yourself or buy and resell them, the IRS requires that you make this calculation; it tells you what costs were involved in producing the items you sold. You’ll be able to deduct at least some of these costs (there’s an entire section on the Schedule C about this). Warning: If you include an expense in the COGS, it can’t be deducted again as a business expense elsewhere in your return. Raw materials used in the manufacture of your products. Note: “Cost of Goods Sold” is a complex concept. If you sold products for the first time in 2015, you should have valued your inventory at the beginning and end of the year. Let us help you sort this out. Insurance. Policies that are directly related to your business, trade, or profession can usually be deducted. Taxes. Some federal, state, and local taxes may have a direct tie-in to your business and might be deductible. 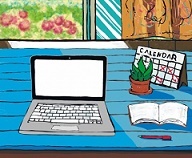 Business Use of Home (the “home office deduction”). If you use a room or space in your house for your business, you may be able to deduct expenses like utilities, mortgage interest, and insurance on your Schedule C (again, these expenses can’t be reported elsewhere). The IRS created a simplified method of reporting this deduction a few years ago, but it’s still complicated. In fact, there’s an entire IRS publication devoted to it. We can work with you on assembling the necessary information and reporting it. Personal and business expenses. It goes without saying that you can’t claim personal expenses as business deductions. But what if you purchase something that’s used for both? The IRS says that you’ll need to determine what percentage of the expenditure went to personal use (not deductible) and to business (deductible). Again, a bit of a complex issue. We can advise you on this. Employee compensation. Yes, these expenses may be deductible – if they are, says the IRS, “reasonable…and for services performed.” There are numerous factors involved in making this determination. Capital vs. deductible expenses. This is an area where you really have to understand the IRS’s official distinction between these two types of expenses. Take motor vehicles, for example. If you buy a car to use in your business, you’ll usually report that as a capital expense and claim annual deductions for depreciation. But there are dollar limits on how much depreciation you can claim every year if you buy a passenger car and use it for business purposes. Do you know what those are? And do you know whether repairs to that vehicle are deductible? What about reconditioning and overhauling it? How do you report those expenses? 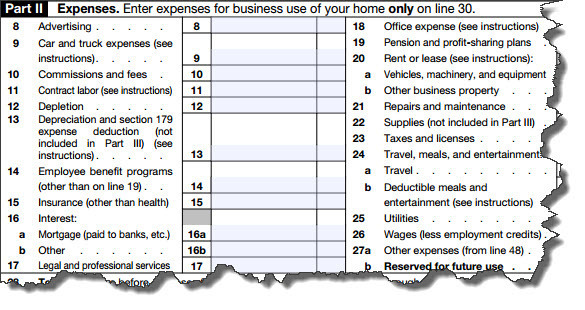 Figure 2: Business expenses look so simple as they’re listed on the Schedule C. But the IRS has many rules about precisely what can be claimed. If you just look at what’s printed on the Schedule C, you might think it’s not that difficult to determine which of your business expenses can be legitimately claimed is that difficult. But it is. Business deductions are subject to many rules – rules that sometimes come with their own exceptions. Your business expenses may be simple and few, requiring little study of IRS instructions on your part. But the slightest bit of complexity can lead to an inaccurate return. We’re very familiar with IRS regulations where business expenses are concerned, and we’d be happy to help you be absolutely compliant. This entry was posted in Be Tax Wise, IRS tips, Legal Issues, Quality Business Practices and tagged business, business coaching, business owner, expenses, finances, IRS, QAS, Quality Accounting Solutions, small business, small business taxes, Vicki Borror. Bookmark the permalink.